Even with ordinary equipment, LG V30 users can experience much of the high-quality audio enjoyed by listeners using expensive headsets. Thinking of getting this set? 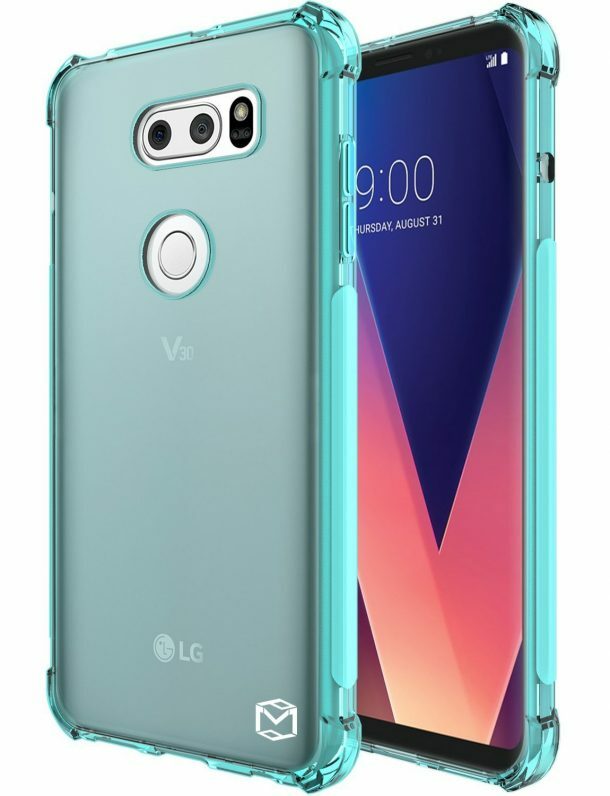 Check out 10 best cases for LG V30 in this list below! This case by Ringke is made from flexible thermoplastic urethane that comes with impact dispersion pattern to make the case more permeable. This specially designed back cover case features curved and alternating black pattern. The raised camera bezels prevent the screen from smearing when placed face-down. The advanced shock absorbing methods incorporated in the case protects against drops, bumps, scratches, nicks, and shocks. Tailored and precise bottom cutouts allow easy access to buttons and ports with comfortable grip for ergonomic user experience. 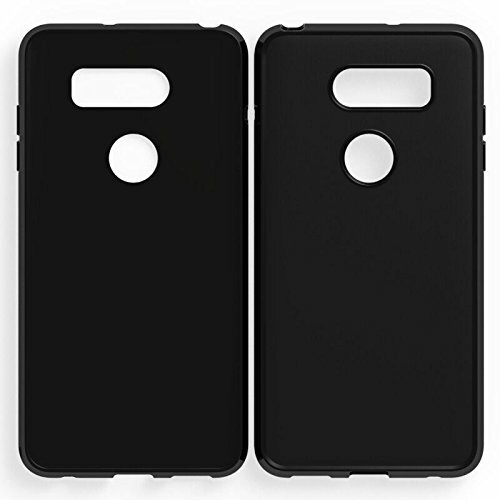 Made exclusively for LG V30, this is a premium quality TPU silicone case to defend your device from everyday scratches, scrapes, dust, debris, wear, and tear. Precise cutouts offer access to all phone’s functionalities. The beveled edges lift the display a few millimeters off the surface to prevent surface smearing. Effortlessly snaps on and off! 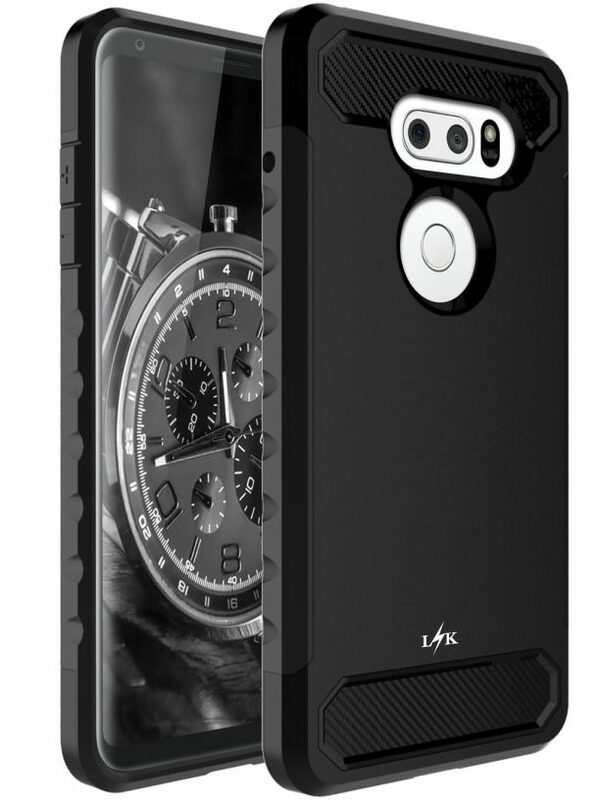 This case by Wellci is manufactured using premium quality polycarbonate and carbon fiber. The corners are cushioned for shock absorption to minimize damage. Your device is defended well from scrapes, dust, debris, daily wear, and tear. Easily snaps on and off. The brush technology with perfect texture makes the unit anti-slip, anti-fingerprint, and anti-scratch. This is a flexible shock absorbent and scratch resistant TPU rubber gel case. This case’s lightweight design allows minimal bulk with extra grip and feel. The gel makes it more flexible and durable than other cases. Precise cutouts allow easy access to all buttons, controls, and ports. Easily snaps on and off and offers a form-fit for premium protection and compact look. 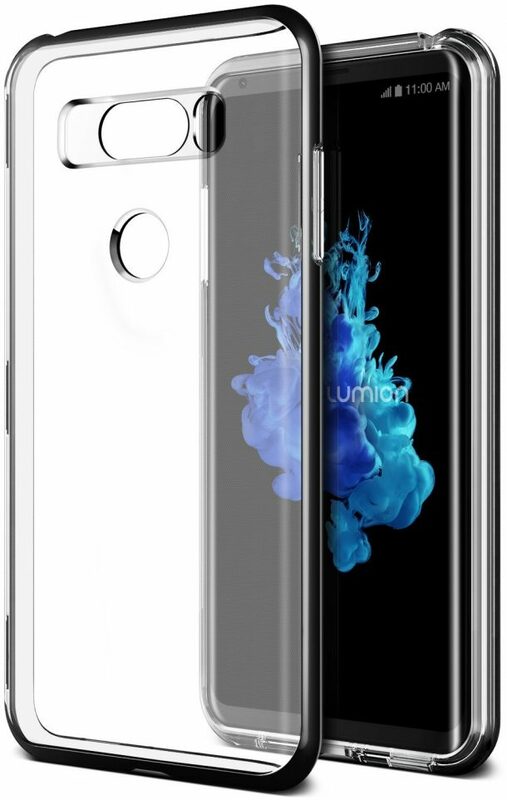 This is an ultra-clear form-fitted and flexible thermoplastic urethane case for LG V30. The TPU is made shock absorbing and allows charging without removing the case. The raised bezels prevent the screen from smearing when placed face-down. Also available in see-through mint and pink colors. Super slim design adds minimal bulk to your phone. 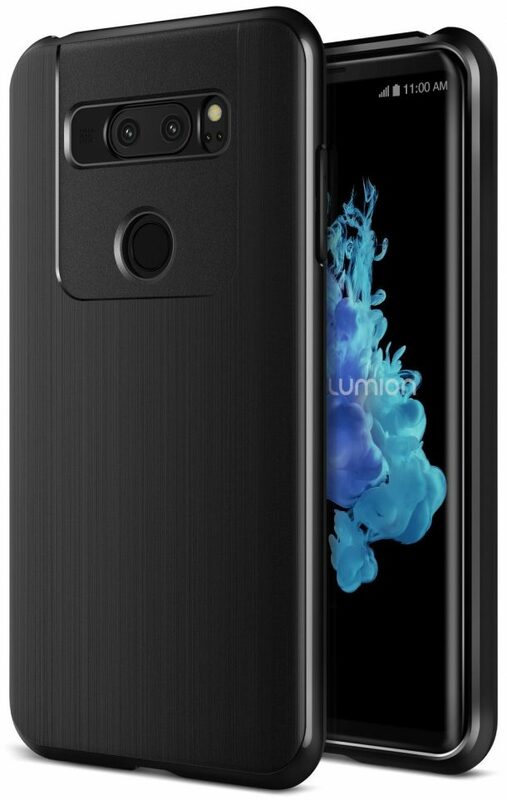 Made compatible with LG V30, this case comes with a matte finish and geometric patterns to create a modish look and feel. Two impact resistant layers (PC and TPU) are made shock absorbing and scratch resistant to reduce damage from impact drops and shocks. The raised lip prevents the screen from smearing when placed face-down. The covered buttons are easy to press and offer additional protection to the device. This is a translucent back cover case that partially encapsulates your phone (back, edges, and corners). The case is made from a flexible yet incredibly sturdy material that resists scrapes, dust, debris, daily wear, and tear. Precise cutouts enable easy access to all the phone’s functionalities. The TPU gel is made scratch-resistant and shock absorbing. This case by Lumion is engineered using impact-resistant material that offers reliable defense against accidental drops and bumps. The sturdy thermoplastic urethane and durable polycarbonate bumpers minimise damage from impacts and shocks. The raised TPU edges surround all exposed area. Enjoy the sleek and modern look with subtle style accents, dual-layer construction, and quality material! 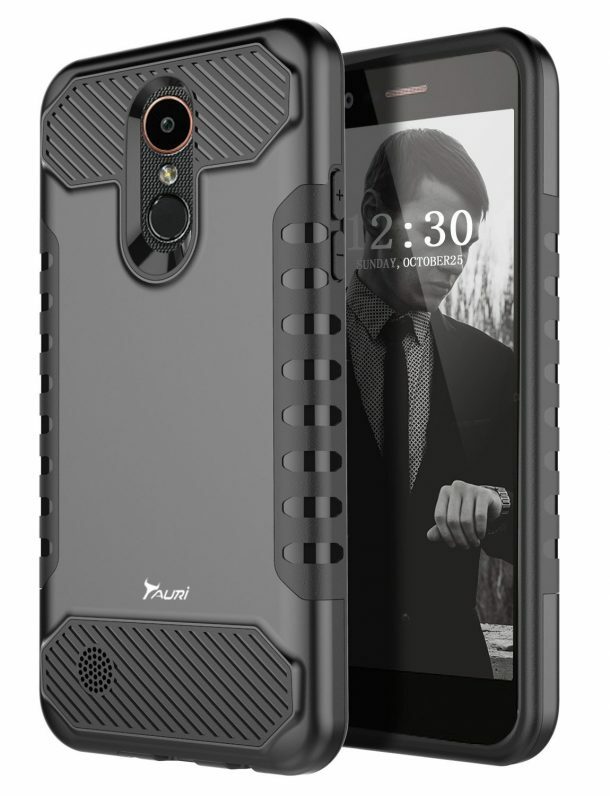 This case by Tauri is made from dual-layer shock absorbing thermoplastic urethane and scratch-resistant polycarbonate. The case is minimally engineered in a sleek geometric style with a matte finish. Cutouts for the ports and camera are large enough to access with ease. Covered buttons are fully functional and fast responding to touch. Also, the textured edges enhance the grip with comfort, so your phone won’t easily slip out of your hand. This crystal clear case is made from scratch-resistant TPU that protects your phone from everyday wear and tear. The see-through back cover maintains the phone’s original look and fits precisely on the contours of your device. The material is made durable and shock-resistant. Offering lightweight and slim design, it promises to avoid halo effect without trapping air bubbles in it. The colored bumpers protect your device from impact shocks and drops.